One of Spain's biggest pop stars, he is a first-rate balladeer who has gradually expanded his reach, experimenting with the rich rhythms that have long underpinned even his gentlest love songs. 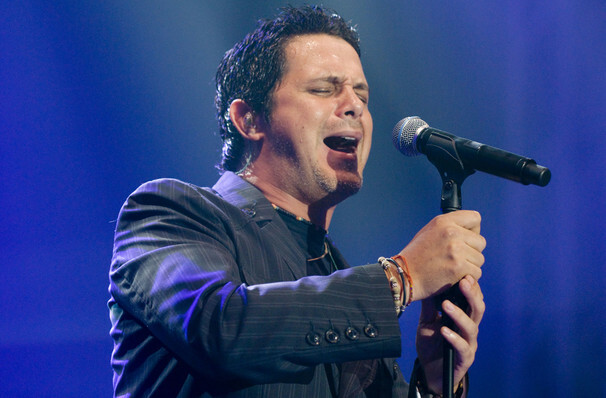 Amongst his many accolades, Alejandro Sanz is one of the most commercially successful Spanish singers of all time thanks to his prolific outpouring of smash hit romantic ballads during the 1990s. Expanding from a home grown icon to an internationally-recognised latin music phenomenon, mainstream triumph came calling with the release of his 1997 breakthrough album Mas, catapulting the heartthrob into constant world tours and collaborations with the likes of Shakira and Alicia Keys. Whilst he trades in songs of romance, longing and tenderness, his trademark rhythmic passion, syncopation and experimental spirit are never far to be found. Fusing together the sizzling flavors of reggaeton, flamenco, R&B, funk and jazz with polished pop production, the crooner brings it all together with a distinctive and emotive smoky vocal, redolent of Sting, Michael Bolton and Rod Stewart. Seen Alejandro Sanz? Loved it? Hated it? Sound good to you? 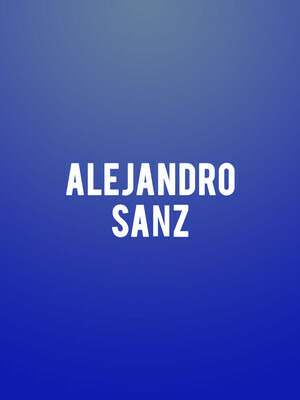 Share this page on social media and let your friends know about Alejandro Sanz at Comerica Theatre. Please note: The term Comerica Theatre and/or Alejandro Sanz as well as all associated graphics, logos, and/or other trademarks, tradenames or copyrights are the property of the Comerica Theatre and/or Alejandro Sanz and are used herein for factual descriptive purposes only. We are in no way associated with or authorized by the Comerica Theatre and/or Alejandro Sanz and neither that entity nor any of its affiliates have licensed or endorsed us to sell tickets, goods and or services in conjunction with their events.